Over the moon to be part of this box release celebrating Fred Frith at the Stone- 3 CDs spanning 10 years of improvisations with an illustrious company of fellow mischief-makers. Gorgeous artwork by Heike Liss, and liner notes including an interview I did with Fred, one of the main master magicians in my book. Officially out on Intakt March 15th! Splinter Reeds releases their second full length album, Hypothetical Islands, out on New Focus Recordings on March 15th! The album includes my piece, “Letters To A Friend” (dedicated to Alessia Pugliatti) as well as works by Sky Macklay, Matthew Shlomowitz, Cara Haxo, Eric Wubbels and Yannis Kyriakides. "She Dances Naked Under Palm Trees", is a new work for solo piano, commissioned by and written for Sarah Cahill as part of her project, “The Future Is Female”. The piece is inspired by the poetry of William Waring Cuney, as sung by Nina Simone in her song "Images". Sarah will be premiering the piece at the Detroit Institute of Arts on March 22nd and the Bowling Green New Music Festival on March 25th. 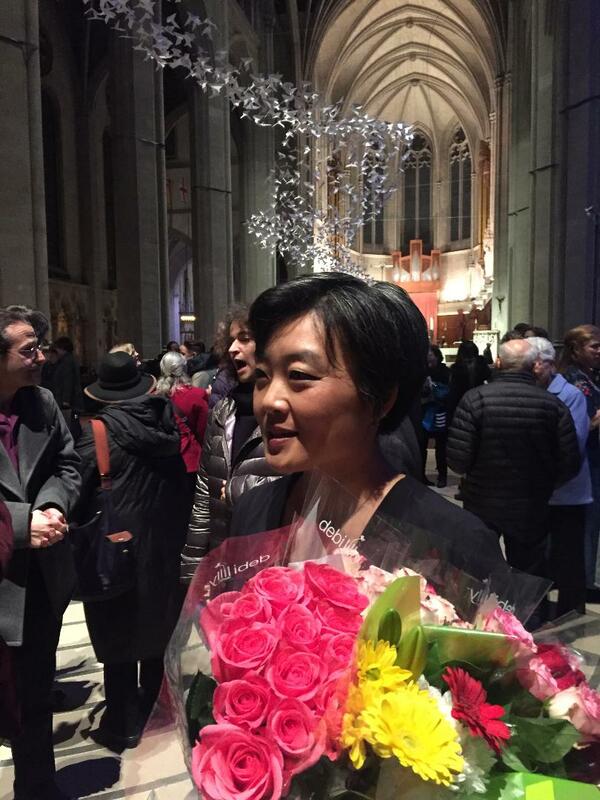 Thanks to everyone who came out to The Eve of the March on Friday - what an honor to premiere "To Burst To Bloom" at such a momentous occasion. 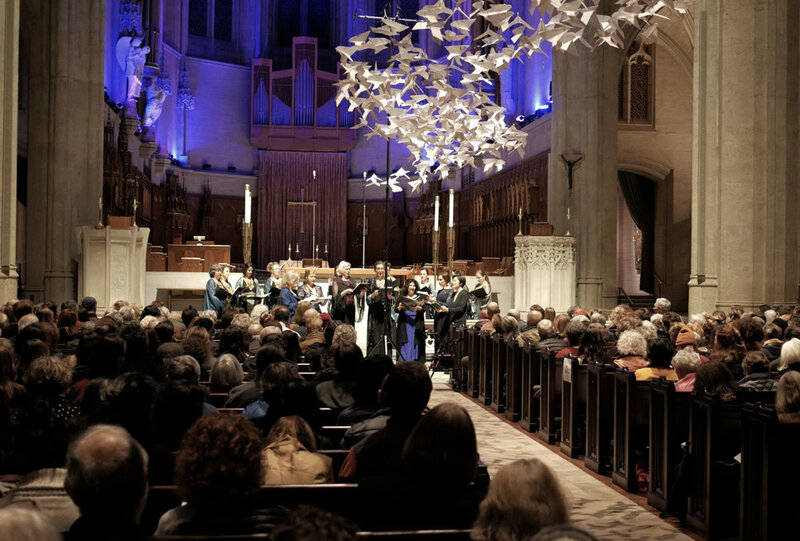 Chapeau and gratitude to Karen Clark, Shira Cion, Janet Kutulas, Shira Kammen, Vajra Voices and all Kitka singers for this resounding evening of song! 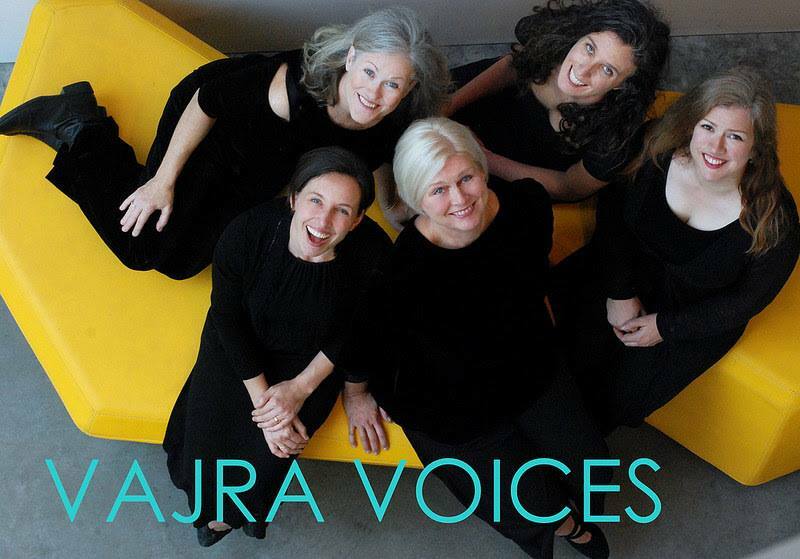 In honor and awe of the Women's March 2019, Vajra Voices & Kitka present The Eve of the March - a concert in the sacred space of Grace Cathedral where we will celebrate womens’ voices and the power of community. This is going to be quite a night! Join Vajra Voice, Kitka, multi-instrumentalist Shira Kammen and yours truly - I’ll be premiering To Burst To Bloom - 6 songs setting the texts of the 12th Century Chinese female Toaist, Sun Bu’er. Tickets available here. I’m so honored to be a part of pianist Sarah’s Cahill’s new program The Future is Female, a ritual installation and communal feminist immersive listening experience featuring more than fifty compositions by women around the globe – 15th century to the present day. Learn more about the works on this new page on Sarah’s website: http://sarahcahill.com/the-future-is-female/ Stay tuned for my new piece inspired and dedicated to Audre Lorde and Nina Simone. Such a fantastic week reuniting with Annie Lewandowski (aka Powerdove) and performing her gorgeous songs with a dream band of Fred Frith on guitar and David Yearsley on clavichord! Thanks to everyone who came out to celebrate the launch of Bitter Banquet with us, especially to poet Jane Hirshfield for kicking off the evening and to the Institute Of advance Uncertainty for the gift of time and space. View of the Gunn Theater at the Legion of Honor Museum in SF, performing in director Carey Perloff’s spectacular presentation on Greek drama and its representation in ancient art. Sharing the stage with actors Anthony Fusco, Safiya Fredericks and Dan Clegg.